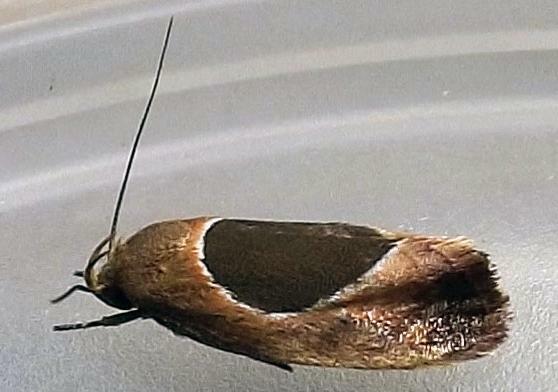 The adult moths have pale brown forewings, each with a large white-edged dark brown semicircular mark on the hind margin. The hindwings are grey fading to white at the bases. The wingspan is about 2 cms. CSIRO Publishing, Melbourne 1994, pp. 153-156, 162. Volume 2, Number 4 (1888), p. 942. Part 29 (1864), pp. 762-763. CSIRO Publishing, 2007, p. 75.